I love the Homesick Texan. Food blogger Lisa Fain embraces her southern roots by cooking Tex-Mex comfort food from her New York City apartment. Lisa’s love for Texas is obvious through her blog posts. Her collection of recipes include authentic Texas ingredients, are creative and taste delicious. 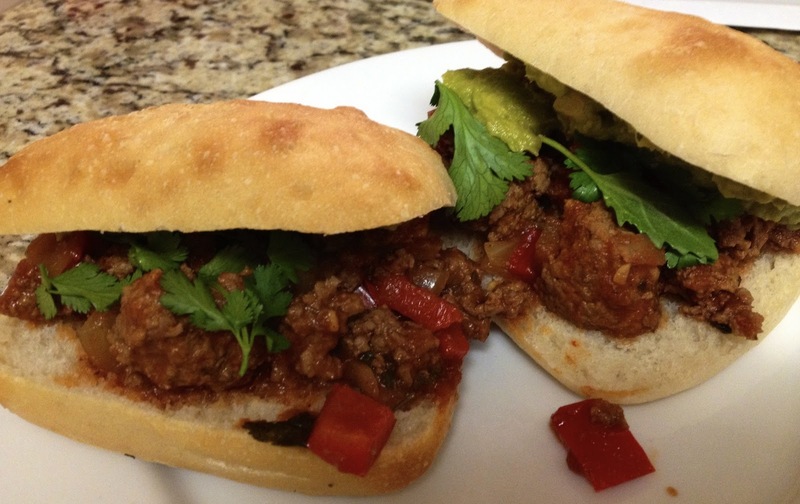 I have recreated her stuffed peppers and chocolate pie, both of which were outstanding, however I decided to feature this sloppy joe recipe because of its simplicity. Although the recipe contains many ingredients, many are either already in your pantry, or inexpensive and easy to find. It is also one of Homesick Texan’s more balanced dishes. Healthy Texan food is hard to find! The chipotle gave a nice kick, and the creamy guacamole took the sandwich up a notch. Make sure you have plenty of napkins, and a knife and fork. These really are sloppy! Using a skillet, on medium-low heat, cook the meat until browned, about 10 minutes. Add the onions and diced bell pepper and cook until soft, about 5 minutes. Add the garlic and cook another minute. 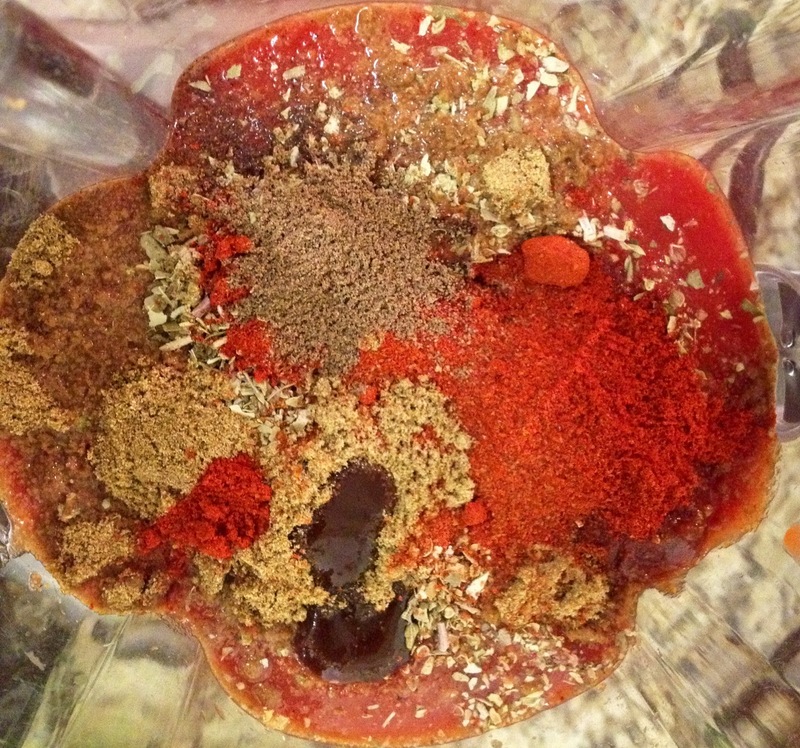 Using a blender, mix the tomato sauce, chipotle chile, oregano, ground cumin, smoked paprika, allspice, cayenne and Worcestershire sauce. Pour sauce into the skillet along with the beer, ketchup and half of the cilantro. Stir to combined. Cook on medium-low heat uncovered for 15 minutes and then add the remaining cilantro and lime juice. Add salt and pepper according to your taste. Serve on warm rolls with guacamole, cilantro, and jalapeño slices. This entry was posted in Savoury Foods. Bookmark the permalink.